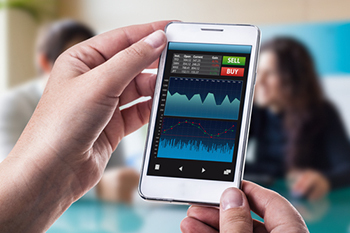 You need a one-stop app for all your trading activities like investment in the equities market, investment in mutual funds, derivatives market, and currencies. A technology-driven online trading platform that makes use of artificial intelligence supported by a highly qualified team of technical and financial experts can provide you with an automated, yet personalized investment plan. Even if you're at home or in traffic, you can stay connected and execute your own trades. If you're a part of the market, you'd surely want to be aware of the changes in equities, derivatives, commodities, and currency prices. Tracking news about the finance and business world, you shall be able to ascertain the impact that these geographical, political, socio-economic and international events have on markets. Staying aware ensures that you do not miss out on any opportunity for investment when the prices fall below a certain level or any profit bookings when the investment has grown by a certain threshold. While news tells you facts, these platforms give you an idea of what the general population feels about the events. The opinions shared on social media are a clear reflection of market sentiments. Blogs and online opinion pieces are fast becoming a source of current updates around the world. Financial experts provide their analysis, and current updates help day traders take fast and informed decisions. Similar to the increasing popularity of social media, instant messaging applications have also become a useful app for easy and instant access to updates. Users have groups where daily stock market updates are shared, and intraday strategies are discussed. If you find the overwhelming data from news or analysis complicated, these groups with other people like you shall help you keep track of current market news and provide support in making better decisions. Despite having all updates, you can falter in your trades without an organized approach. These seemingly tiny notes can categorize your data based on companies and industries, remind you periodically about your open trades and intimate about expiry dates of derivatives contracts. Some apps let you add images, graphs, and charts in your notes. Moreover, these notes are accessible from all desktop and mobile devices through your single account.